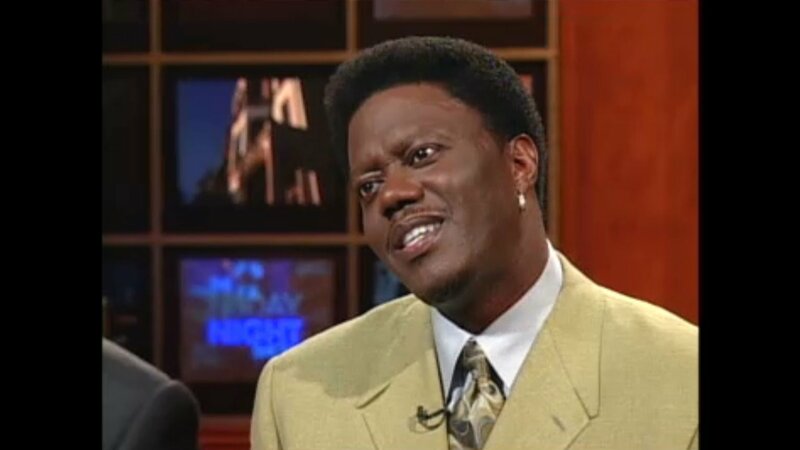 It’s been a decade since the death of comedian and actor Bernie Mac, who grew up on Chicago’s South Side. Born Bernard Jeffery McCullough, Mac met his wife, Rhonda McCullough, at Chicago Vocational High School. The pair dated for two years before they married in 1977. After one year of marriage, McCullough gave birth to the couple’s daughter, Je’Niece. Before hitting it big, Mac held a number of jobs, including as a truck driver, restaurant manager, mover and basketball coach, among others. McCullough worked as a nurse. In the 1980s, Mac was diagnosed with sarcoidosis, an inflammatory disease, which typically begins in the lungs, skin or lymph nodes. The cause of the disease is unknown, and it does not have a cure. The couple had been married for 31 years at the time of Mac’s death in August 2008. He was 50 years old and died from complications from pneumonia. In 1990, Mac won first place in the Miller Lite Comedy Search. Following the win, Mac began to receive more recognition. In the ‘90s, he appeared on “Def Comedy Jam,” an HBO comedy series produced by music mogul Russell Simmons. The series helped launch the careers of many prominent black comedians, including Dave Chappelle, Bill Bellamy, Damon Wayans, Jamie Foxx, Mike Epps and Chris Tucker. The Original Kings of Comedy Tour in 2000 pushed Mac even further into the spotlight. He toured alongside comedians Steve Harvey, Cedric the Entertainer and D.L. Hughley. At the time, Mac was the only one of the four without a television show. Mac later inked a deal with Fox for the program, "The Bernie Mac Show." It premiered in 2001 and was based loosely on Mac’s stand-up comedy from the Original Kings of Comedy Tour. The show was on air for five seasons and received a Peabody Award, the Humanitas Prize, a Primetime Emmy Award, three NACCP Image Awards for Outstanding Comedy Series and was also honored by the Television Critics Association. Mac received the NAACP Image Award for Outstanding Actor in a Comedy Series for four years in a row for his role on the show, as well as several Emmy nominations. Mac’s success also extended to the big screen, with roles in films such as “Ocean’s Eleven” and its two sequels, plus “Charlie’s Angels: Full Throttle,” “Head Of State,” “What’s The Worst Thing That Could Happen,” “Bad Santa,” “Mr. 3000,” “Guess Who,” “Pride” and “Transformers,” among others. McCullough credits the strong foundation of the couple’s relationship before his fame for keeping them together as Mac’s career took off. McCullough said that when she could, she’d visit her husband on the set of his productions and would then travel back home to Chicago to maintain their home. As a husband and father, McCullough said Mac was a jokester. And while he liked to play practical jokes on his family and others, he didn’t like it when anyone else played pranks at his expense, she said. McCullough said that Mac and his daughter, Je’Niece, were alike in personality, and that the two shared a deep passion for music. He was also very protective. Mac’s portrayal of Percy Jones in “Guess Who” mirrored what Mac was like in real life with Je’Niece, McCullough said. Mac was also a doting grandfather to the couple’s granddaughter Jasmine, who was 18 months old when Mac died, McCullough said. Although it’s only been a decade since his death, McCullough said there have been medical advances in diagnosis and screening for sarcoidosis. In 2007, Mac founded the Bernie Mac Foundation with the intention of using his influence to advocate and create awareness for those suffering from the disease. McCullough now heads the foundation, which raises funds and supports research related to the disease. The Bernie Mac Foundation is hosting Bernie Mac Night with the Bulls during the Bulls' home game against the Golden State Warriors at 7 p.m. on Monday, Oct. 29. The event will celebrate Mac's 61st birthday.